Affiliate Marketing can be one of the most profitable business you can have online because compared to the brick and mortar business, you have the least amount of capital required (You can actually start for free!) and in terms of the risk of failure, you only fail if you stop moving forward. If you’ve read other articles online, you must have heard that the best way to start Affiliate Marketing is through a website. And I’m guessing that a part of you might not like the idea of building one. 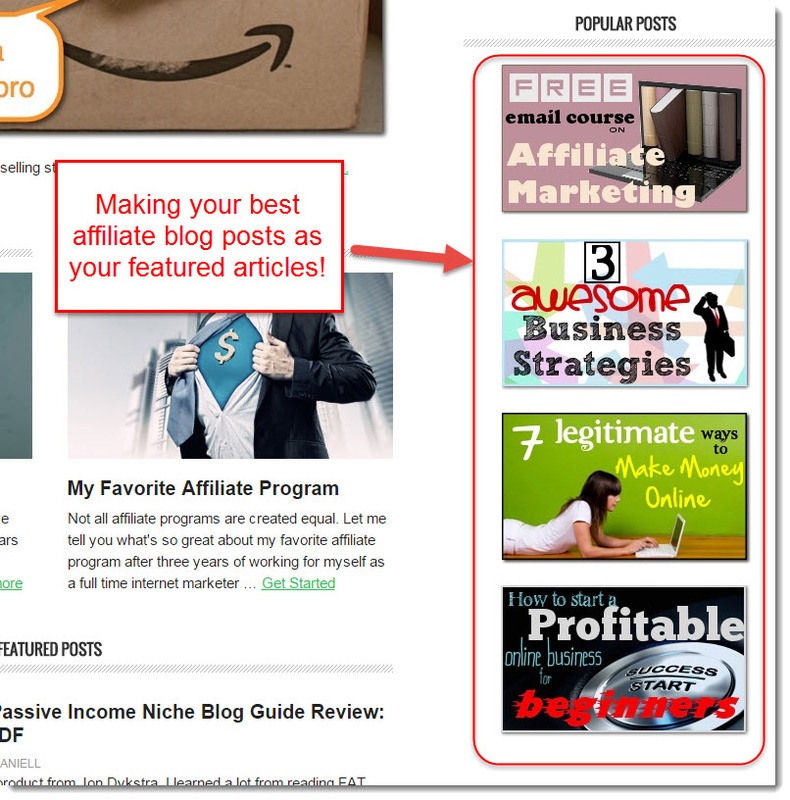 So first thing’s first, what is an affiliate website and why do you need it? 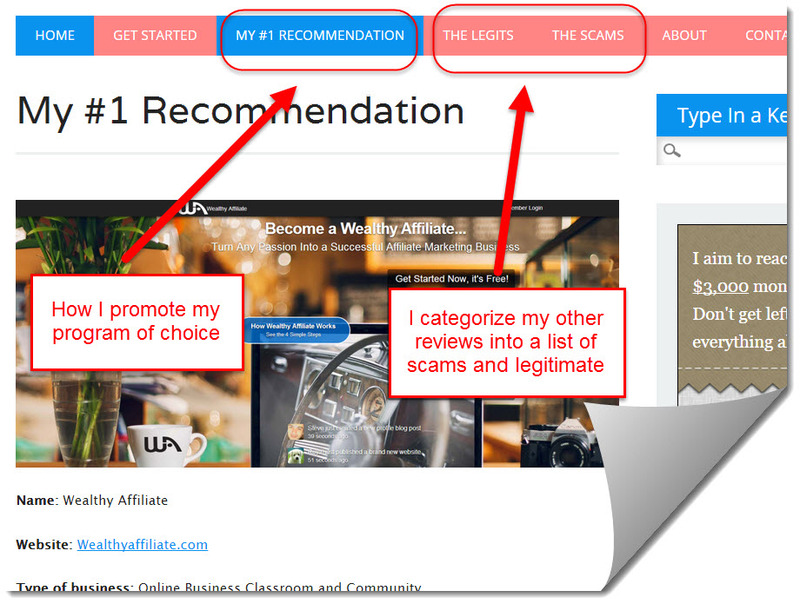 In short, it is a website that you create simply to promote your affiliate marketing products or a certain program (Like what I’m doing now). You can of course do Affiliate Marketing without a website but it is very tiring as you’ll need to comment on forums, expensive as you need to buy ads and risky considering you won’t know those ad campaigns are going to work or not. I used to comment of forums a lot but eventually, all my accounts got suspended as users report my actions. I also spent thousands on solo ads which made me more loss than profit which left me even more broke than I was before. 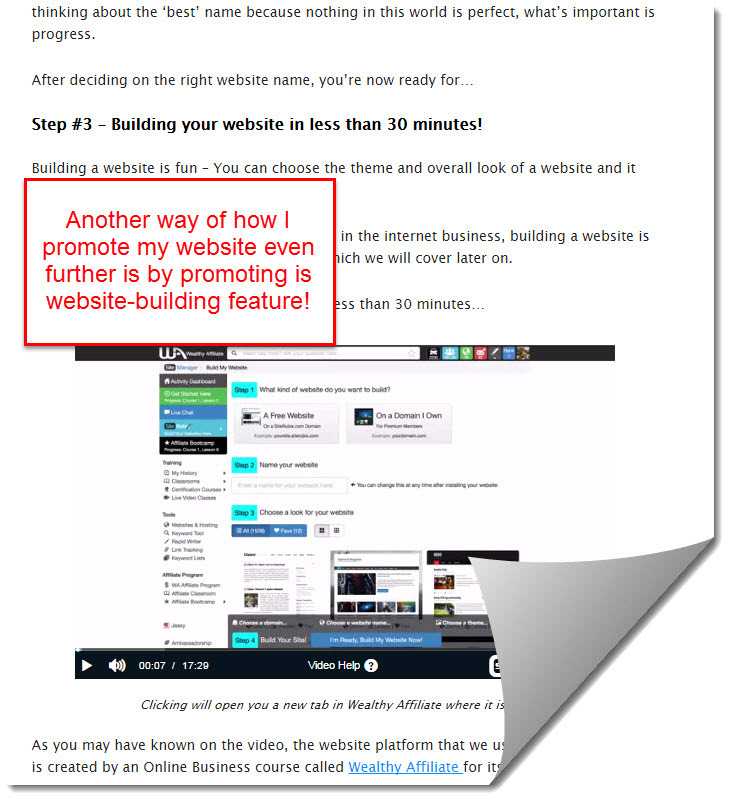 All of this because I followed what those Internet Marketing gurus told me which is why you shouldn’t do the mistakes I did and start building a website instead if you are really serious on starting an Affiliate Marketing business. Easy, yes? In business, building is always easy – Maintaining one on the other hand, is the challenge but when done right, you can make a lot of bargain for a well-established site. Now that you have a website, you need only to determine what niche you will target. This should come naturally to you but supposing you don’t have any idea on how, I actually wrote for you the top 10 affiliate marketing niches here. Great! Now you should have a fully functional website and a niche, so your next step is to find a product or program you wish you promote. According to you niche, I would recommend you going to ClickBank or Amazon to find products that you wish to promote, mainly because these two companies have great customer service and awesome branding that customers trust. Admit it, I’m sure you’ve bought some stuff from Amazon before, right? 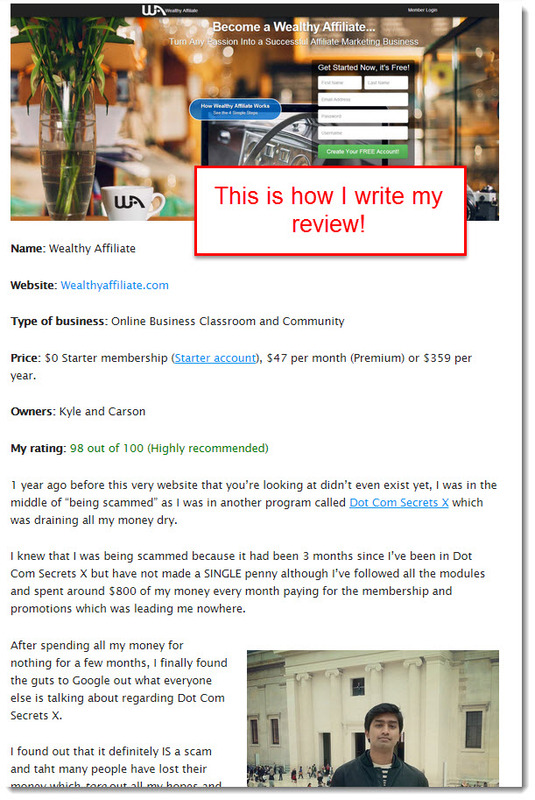 If you have no idea on what affiliate products to promote, I would advise you to check out Wealthy Affiliate instead. It’s not a product but an Affiliate Marketing training course which also lets you promote it for a decent 50% commission so by joining, you’ll hit two birds with one stone. Now that you’ve chosen your program or product to promote, you’re basically done with the ‘building’ part, which means all you need to do now, is to get people to buy from you. In order for you to become an affiliate, you need to first sign up and get your affiliate link which you will to promote in order to actually get money paid to you. 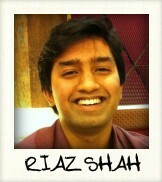 That’s how companies differentiate their affiliates. 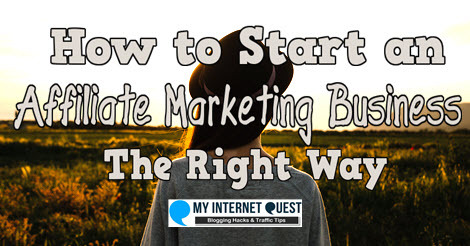 However a lot of beginners are too eager to make money that they blatantly paste their affiliate links everywhere on their websites or blogs hoping to get money and this is very wrong because in Affiliate Marketing, being ‘human’ is your greatest key of success. The reason people want to buy from you is not because you are selling to them, but rather because you are recommending to them your product of choice along with your experiences which convinces them to buy. So how do you promote your product without making yourself look like a cheap salesman? Reviews are the best (and also most common) way to get people to buy form you. Consumers today are getting more money-conscious that before buying almost any products out there, most of them would usually read reviews to see if it’s worth buying or not. There are reviews out of almost any products imaginable out there, even iPhones and the reason people go through the trouble to write them, is because readers are more willing to trust their experiences more compared to what corporate websites say. In fact, it is how I make money on this very website as well. If you scroll above all the way to my menu tab, you’ll notice that I’ve added my #1 recommendation there and that is actually my review to the program I’m promoting. I’m sure you’re now pumped to write your very own review so the question you might be asking now is are there any templates to writing product reviews? Truth be told, there aren’t any specific templates for that but a rule of thumb to always bear in mind is that the more detailed your review, the higher your chances of conversion because people will trust you more. 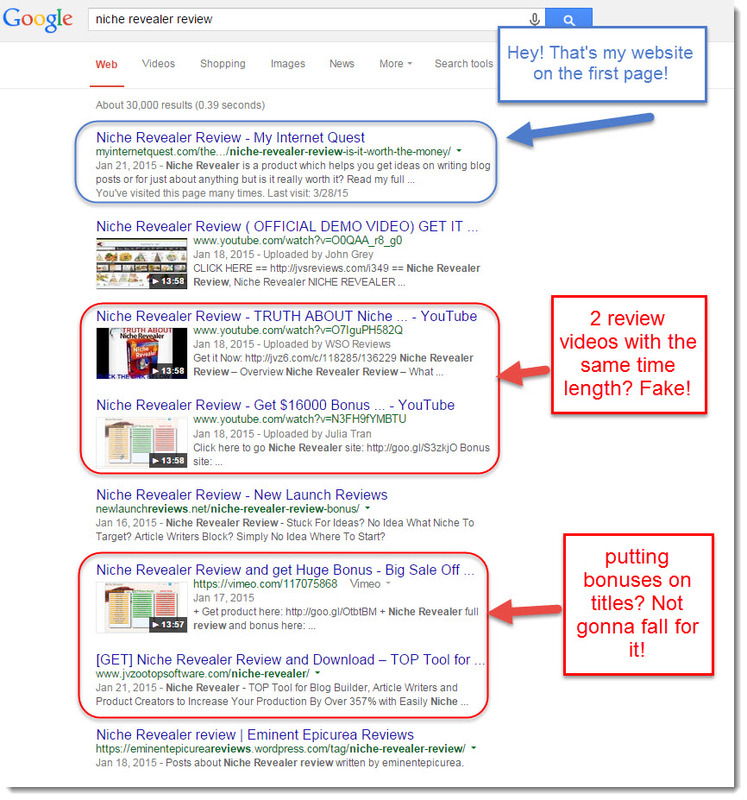 When that happens, Google will also rank your review higher on search results because your visitors are actually staying at your site to read your story instead of just bouncing away to another site. The process of ranking your site on the first page is called SEO and there are a lot of factors that need to be taken into account in order to gain better rankings but the main element is still the same – content is king. Especially with Google’s recent update, content is more important than ever because slimy blackhat tactics used by scam gurus in order to manipulate rankings won’t be useful anymore. 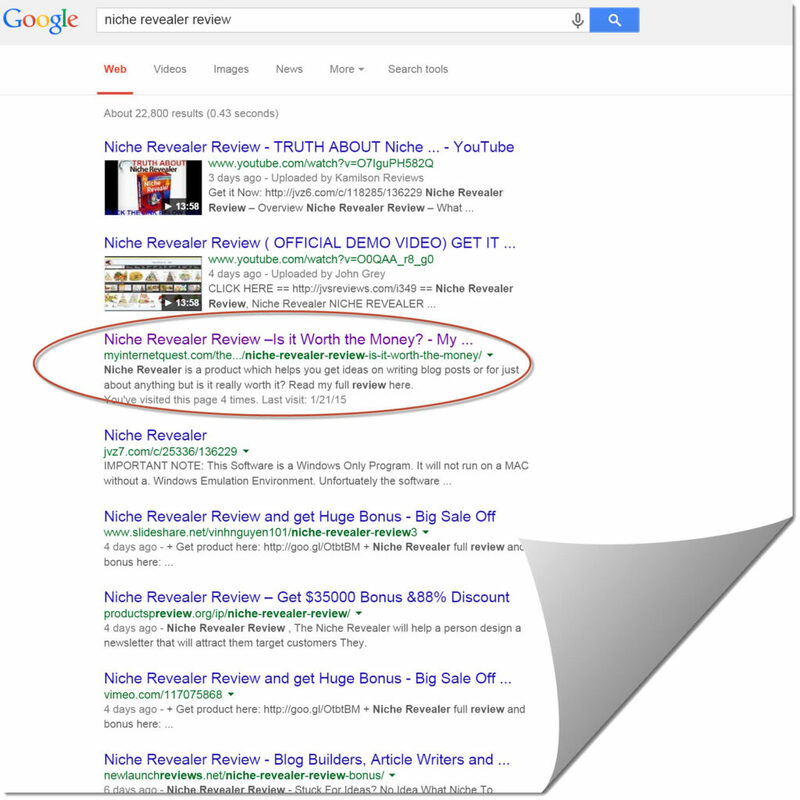 If you search for my niche revealer review for example, you’ll notice that there are many salesy fake reviews out there that tried to get people’s attention with fake bonuses. I wrote my review a while later after those fake reviews were there but how I managed to rank on top smoothly is because my content was genuine, detailed, full of pictures and honest compared to those fake reviews which only have about 100-300 words. Reviews are a great way for you to express your experience and belief on a particular product and if you put your heart and soul into it and share your experiences, your readers are definitely going to want to have a go at it too. When having a blog, it is much better to write more reviews than just one because you want your readers to know you’re still in business and that you’re there for them to contact if they want to ask you questions. Writing one review of your program of choice is great, but making other extra reviews of other programs can help you gain lots of free traffic. When you publish one review, sure, you’ll get visitors coming in from Google but that is restricted only to that one article. However if you write more reviews, you’ll get more visitors from everywhere and they will surely flock to your website to check what your top ranked program is. When I write reviews, I usually compare those products or programs with my #1 recommendation so that I can ‘steal’ people who are wanting to buy that particular product, to buy mine instead. However bear in mind that this only works if your reviews are on products which are of the same niche. For example, if your niche is about iPhones, your review should revolve around phones or apps because it makes sense and it’s easier to convince people to relate you. You CAN’T build a diet website but do reviews on the best PS4 game because it doesn’t make sense and these 2 niches doesn’t connect and have nothing to do with each other. 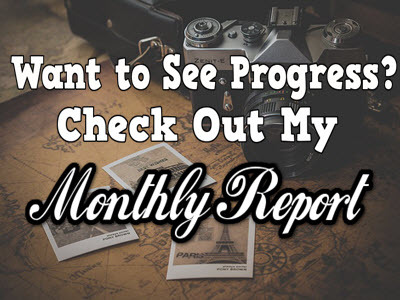 I’m in the Online Business niche so if you look at my reviews, you’ll surely notice that the programs or products I review are all on online businesses because it makes the convincing process easier as people can relate better. This is something I’d like to call Affiliate Blogging whereby you blog as normal but with affiliate marketing intentions. 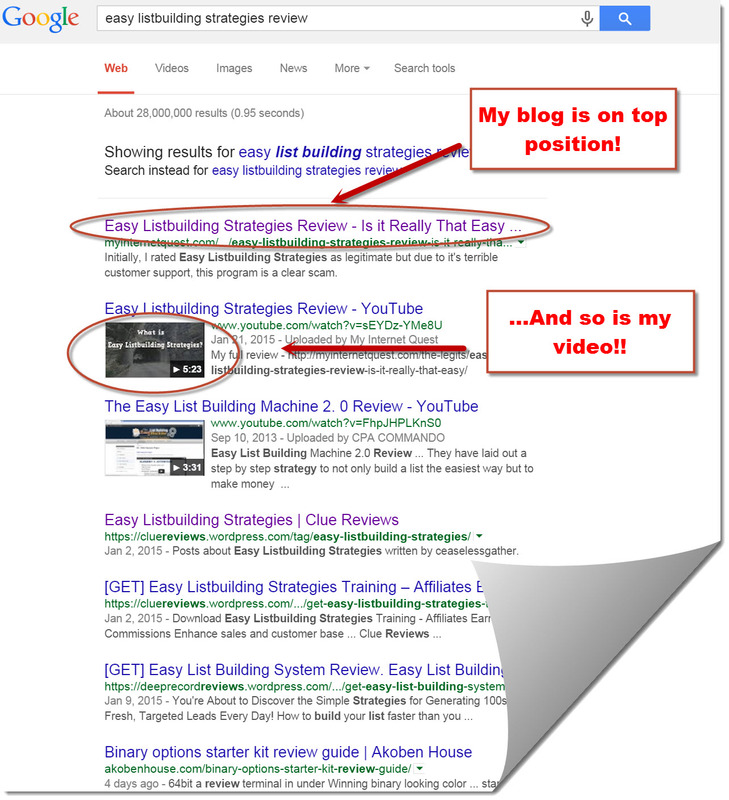 Make no mistake, the blogging part is not about making reviews. This is because reviews are your commercial intent which is great for making sales but in the long run, your blog is going to grow and you need an identity instead of being called as “that review guy”. For example, My Internet Quest is a review website but it also blogs about traffic tips and blog hacks to help beginners build their website faster with ease. It adds more colour to your blog, don’t you think? Mixing your reviews with your blog posts is a great way to create branding and you’ll attract various people everywhere not to mention making your blog stand out among the other review blogs. The idea is simple – Write a blog post about something, and cleverly talk about your product of choice. 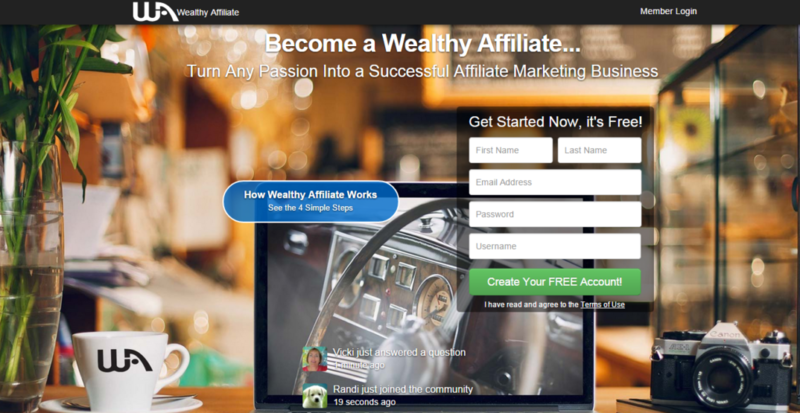 For example, Wealthy Affiliate is a great platform for people who are new to building websites and wanting to build one with ease in less than 30 minutes. By doing this, any readers who come to my blog looking for ways to build a website can click on my link which will bring them to my review hence an indirect conversion. Ranking my program as one of the top recommendations. Knowing that my program of choice also has a great webhosting service, I also took this opportunity to add in Wealthy Affiliate as one of the top 5 high-performing webhosting companies for beginners which gave me loads of traffic back to my main review site. Writing blog posts is a great way for you to make your blog more interesting rather than going all out on reviews only because readers are going to want to scour around your blog to see what other things you have. When you’re going big, people are going to want to know what stuff you’re using to get to where you are now and writing a resource page, is a great way for you to satisfy your readers’ curiosities whilst making some sweet affiliate commissions from it. Many do not know this but the resource page can actually make you a decent affiliate income because people who are just starting up would want to follow the footsteps of those who have been there no matter what the cost (At least if it doesn’t cost too much). A friend of mine Dustin created a resource page on Kirby’s Marketing and it worked wonders for him. 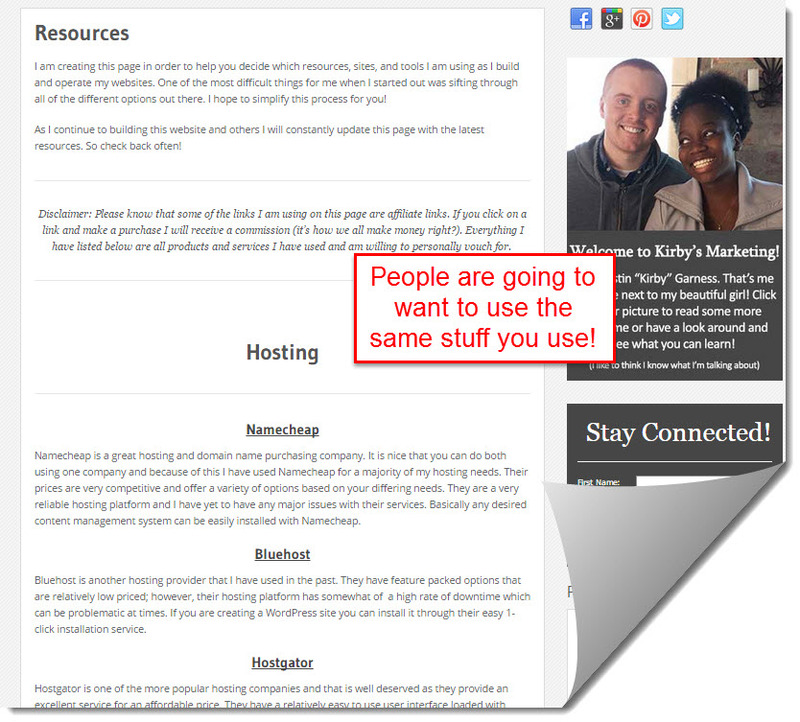 Top Internet Marketers such as Pat from Smart Passive Income and Ana from Traffic Generation Café also applied the resource page concept to their websites which they have been doing for years. I have yet to create one for my site too but one day, I will. Emailing your subscribers is a great way to drive repeat sales from your loyal followers. The downside? – You need to have subscribers in the first place. Don’t get disheartened by this fact, because this means that you need to have an autoresponder as early as possible if you want to start collecting your subscribers. It took me 11 months to finally decide to get an autoresponder of my own and I regret not starting early because I just lost almost a year worth of subscribers! There are a lot of autoresponders around to help you get started with email marketing but I recommend AWeber because I find that it is much easier to get started and that it is also very user-friendly as the interface are pretty straight-forward compared to MailChimp. Aweber’s optin page creation is super easy! Once you have an autoresponder set up and some subscribers along the way, you can then leverage it by letting your subscribers know of any new articles, events or even discounts you’re having because this will attract them to come back to your site. When your existing visitors come back to your site regularly, Google will rank you much higher as it now has the impression that your website is helping more people so in a way, it is a win-win situation. 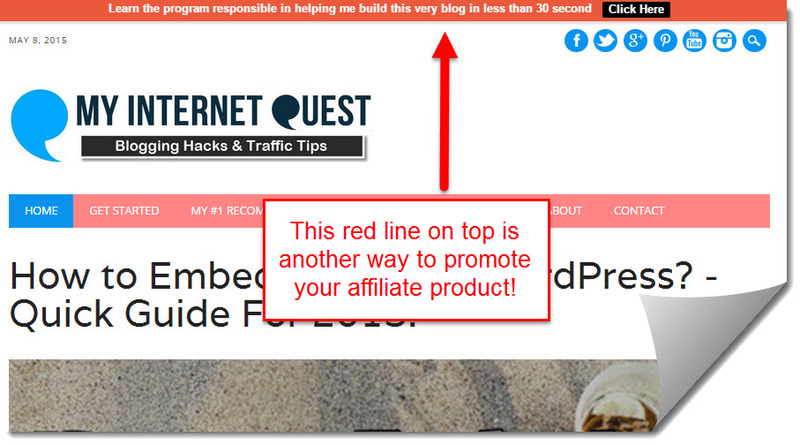 When you first came to my site, have you noticed how enticing that red bar is on top? Well that my friend, is the Hello Bar! 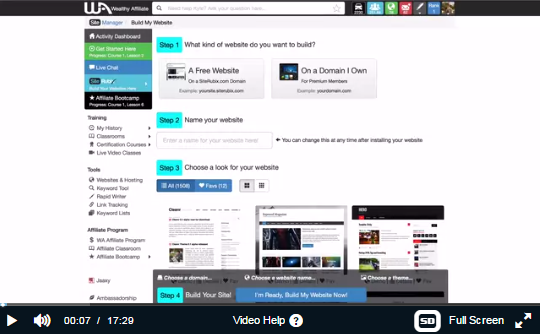 Simply put, it is a website toolbar whose job is to attract visitors into clicking it and as an Affiliate Marketer, you can leverage this by targeting it to your product of choice. The conversion may not be as high as your reviews but I got free 30 clicks by doing nothing and who wouldn’t want that? 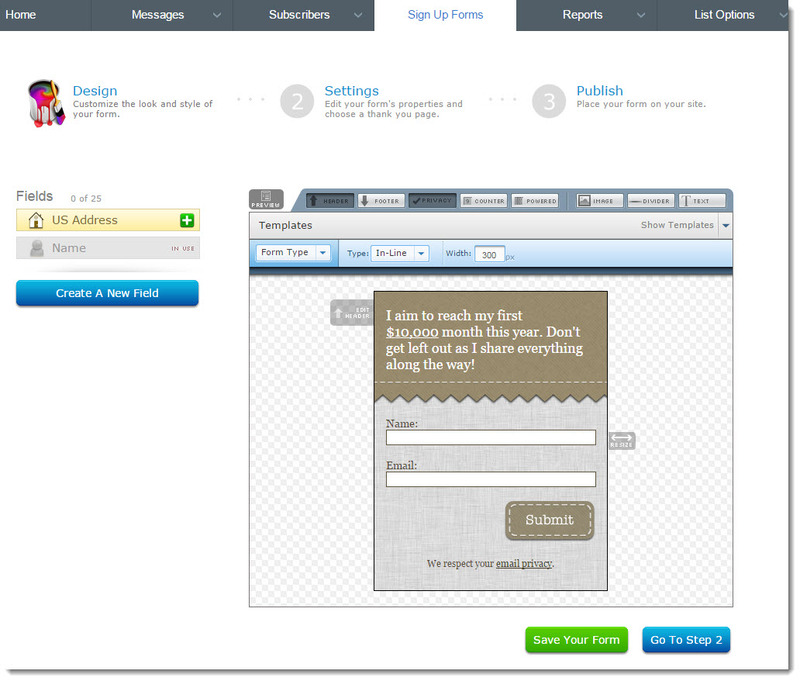 Creating a Hello Bar account is also free and you can do so by installing the plugin here. A great way to make use of it is by directing your readers back to your review that you are targeting or better yet, to your email list so that you’ll grow your subscriber amount faster. Apart from the Hello Bar, another way for you to get free clicks off your website is by adding banners through your sidebar. The practice of banner advertisement is actually a very hot topic whereby companies would want to buy space on your website to promote their own products and they pay you according to the number of clicks you can give them. However these companies usually have a set requirement of traffic which is usually very large (somewhere around 6,000 to 15,000 visitors minimum) which is why it may not be the best option for any beginners to go for it. Google also has something called Adsense whereby they would pay you according to clicks you get on your website and most bloggers make use of this by adding the Google Adsense Banners on their sidebar which may have a negative impact on your website according to visuals (The ads are pretty annoying not to mention ugly). Which is why your best bet of using your website sidebar space is to add in your own banners of your product that you are promoting. 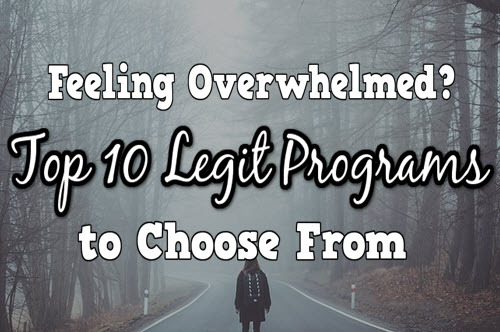 Don’t worry, almost all affiliate programs or products want you to make sales which is why they would provide you with their own banners to help you save time so you need only to go there, get the code and paste in on your widgets. The hidden intention behind those popular posts revealed! When reading blogs, having you noticed as to how some of them have got a ‘Featured Article’ section on their sidebar? (Some may call it Popular Posts). Time to face the truth, those articles are not actually that popular. Being a blog, you’ll eventually have many blog posts or pages and almost all of them will tend to have comments so who has the time to keep track on which one is the highest and which one is the lowest? Nobody! Especially if your blog has been running for months or years, you’ll have hundreds of articles to go through. In the Online Business world, we make use of blogs or pages that have made us the most affiliate sales and to scale that potential, those particular blog posts are then chosen to be shown at the sidebar as the ‘Popular posts’ section because somewhere people are more attracted to get persuaded into buying there. 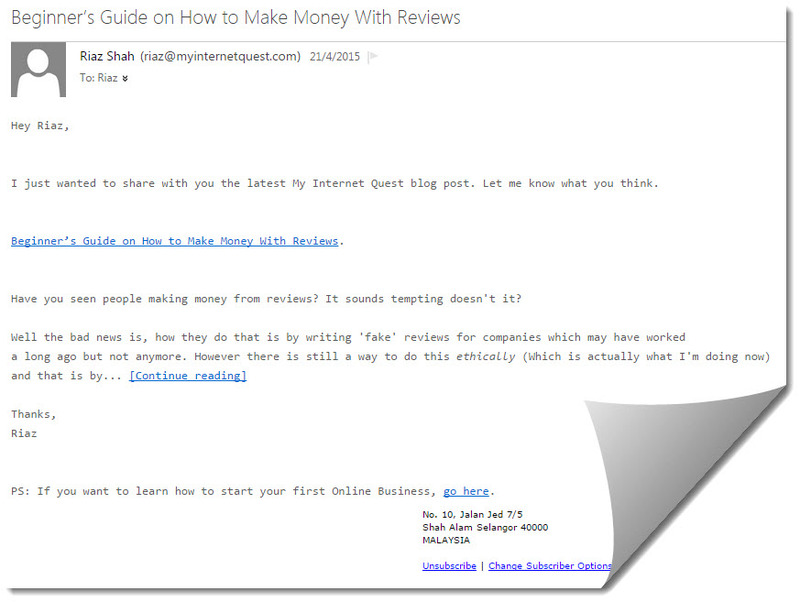 Of course not all blogs do this but those who have a sharp eye on online business, tend to make full use of this. 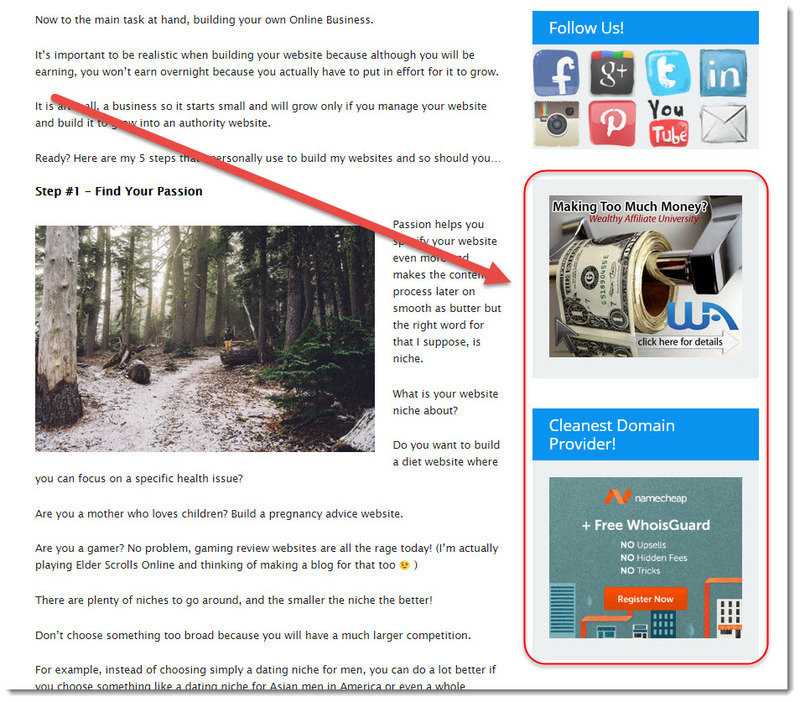 So by tracking which post or page is making you the highest affiliate sales, you can leverage that even further by making it appear on your sidebar. If you don’t know how to get your post to appear on your sidebar, you need only to install the Image Widget plugin and the rest of the process should be pretty straightforward. Making reviews through a video can affect your sales directly because people want to see if you’re brave enough to be in front of the camera and still talk about the truth. Plus, who wouldn’t like videos? They are just begging to get clicked on! However I understand that making videos is one of the toughest ways of getting traffic because not everyone has the equipment to do so and for those that do, you may be camera shy such as me which is why I rank video reviews as number nine. But for those that actually are good at making videos, keep making them! Because the amount of traffic that you can gain is even more than what your blog can get you and the best part about making videos, is that one of them will eventually grow viral and will lead more clicks to your website. Here’s a pretty good example of a product review made by Derek from Realclikcbankreviews.com. That video went viral and had over 100k viewers and I only imagine how many sales he got from that video alone. And that’s just one video, imagine if you have many more! So if you’re looking for a quick way of getting traffic to your affiliate offer faster than your blog, a good video is always more effective if done right. Guest Blogging is the practice of writing articles on other blogs which is much bigger than yours in exchange for traffic. It is something many famous bloggers are doing today and if you want to go far, you should have a go at it too. 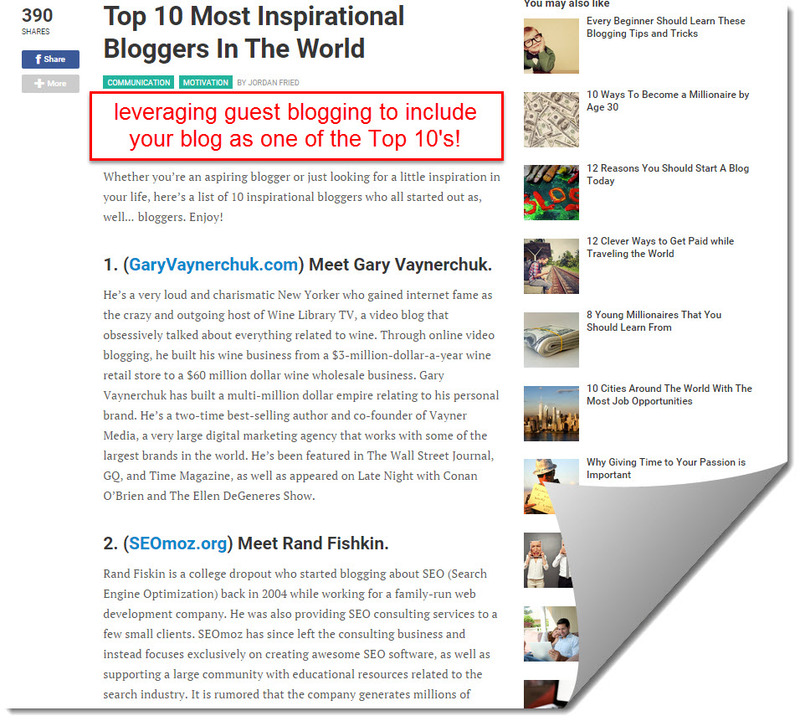 Although the use of guest blogging does affect Affiliate Marketing directly, you can actually still leverage it by including your blogs as one of the top 10 blogs you will write about. But in order to make it work, your blog needs to be established in the first place which is which is why I rank it as number 10. But if you’re focusing on going far, you might want to apply for guest blogging as early as possible because the process is extremely time-consuming! 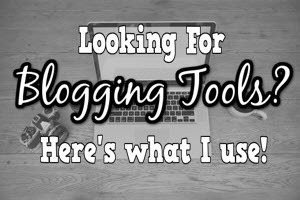 I waited several months to finally try out guest blogging but what I didn’t know is that the approval process takes somewhere between 30 days to 60 days and the bigger the blog, the more difficult the process. That’s it! My top 10 ways on how to do Affiliate Marketing professionally. Learn Affiliate Marketing from the Very Source of It! 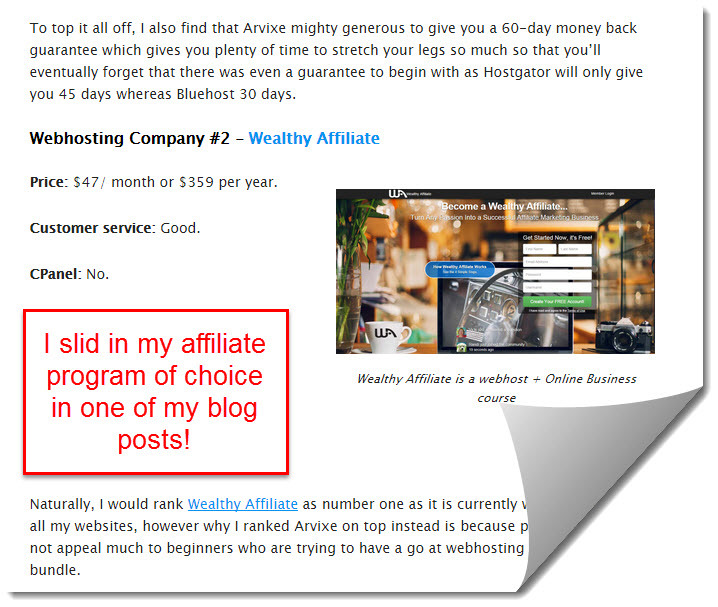 Now this is where I promote to you my affiliate offer but for very good reason! 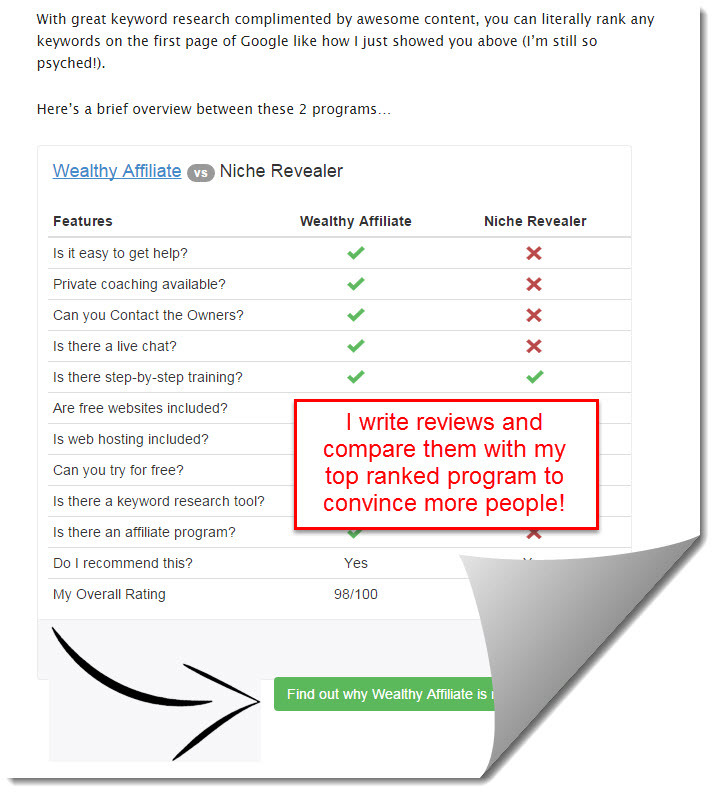 Wealthy Affiliate is the best affiliate program to date for both newbies and the experienced because the training you’ll get is evergreen, the webhost you get is high performance, the community is awesome and the retention rate for referrals is high as people tend to stay for months, possibly forever. You will learn how to rank your pages on the first page and top all the other reviews on the web and it all start with a click of a button (And some reading, it is still a training course through). When I first started online, I was jumping from program to program but after trying out WA, I became attached as I find the features there the best no other online courses out there can give because with the knowledge I learned there, I managed to build this very website you’re at now. The owners Kyle and Carson helped me out a lot in getting started and they motivated me to going all the way even with my free account. Phew, that was over 3,600 words! Affiliate Marketing is a great way for beginners to know the Online Business world better while earning income but bear in mind that it is also not an overnight income scheme. It is a method for you to get money through commissions and in order to actually make a decent income out of it, you need do it the right way so as long as you stick to building a website and rocking your image right, your income will eventually become a recurring one and you can kiss your job goodbye. Thanks for reading this lengthy guide, I really appreciate that and if you have any questions whatsoever, do comment them down below as I’ll be more than happy to reply. Anytime Aaron, loving your email though. aarterry for Aaron Terry is catchy!